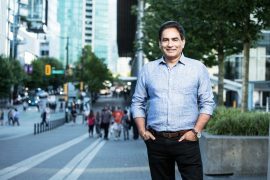 When Khushpal immigrated to Canada in 1992, he had a vision to integrate into the legal profession, no matter what it took. His perseverance and resilience paid off, as today he manages his law firm, Sovereign Law Group in the heart of Surrey, British Columbia. What strikes you about him is his relaxed demeanor, but his path to success was a tough one. 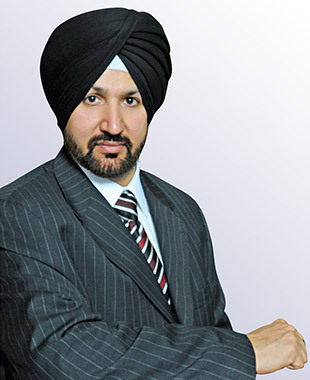 Born and bought up in Punjab, he graduated with a Law degree from Punjabi University Patiala in 1988. After practicing in India as a lawyer for almost four years, Khushpal immigrated to Canada. 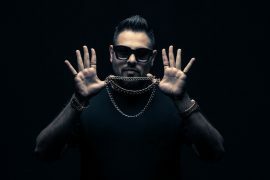 After completing his law courses from the University of British Columbia, he obtained a certification of equivalency of Canadian Law students, and articled with Beck, Robinson & Company, being called to the Bar of British Columbia in 2000. “Being in a new country and trying to integrate into your profession can be tough. I had to be focused and make a number of sacrifices. The barriers to hold you back are many but you have to stay positive and move on,” he says. A law firm’s strength lies in its competitive personnel. “We work with certified, highly trained, experienced paralegals that assist in the day-to-day management of client files. We only hire staff that are personable, take the time to listen to our clients, and want to help them succeed in their legal pursuits. My staff has extensive experience in all types of legal matters. We work collectively to provide the finest and most efficient legal service to our clients based on the factors involved. Because of our extensive training and experience we are able to quickly and efficiently advise on even the most complex legal issues in a cost effective way.” His law firm, Sovereign Law Group, provides diverse legal services such as: Personal Injury, Real Estate, Buying/Selling Businesses, Family Law, Immigration, Wills and Estates, Corporate and Commercial, Litigation, and Notary Services. 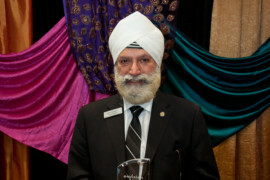 “I primarily deal with ICBC & Personal Injury cases, immigration, and Family Law. I have a keen interest in personal injury law”, he said commenting on his growing client base with various types of personal injury matters. The Firm’s clients include individuals, corporations and business houses of all sizes. For the firm’s personal injury clients, the main objective is to provide the best treatment for their injuries by the firm’s team of medical practitioners, while obtaining their final results in less time and expense. With a busy law practice taking most of his time, Khushpal still manages to focus on social causes close to his heart. He talked to us about the importance of giving back to the community and being socially responsible. “I am very empathetic about the equality and dignity of the disabled, both in India and Canada. I try to dedicate time to this cause every year. I believe all of us as a society should give back to the community we live in. I provide pro bono services in light of special circumstances, and work with my team to make every case affordable according to the unique situation of my clients”. Also an outdoor enthusiast, Khushpal enjoys activities such as cycling, camping and hiking.